Hey all- my 2003 protege 5MT has thunk/shudder when accelerating from standstill from the front driver's side. I just replaced 3 motor/trans mounts (front by radiator, driver wheel, passenger wheel). The thunk/shudder I am getting when accelerating from a standstill/releasing clutch has lessened but it is still noticeable. From what I understand the left and right mounts are load bearing / and the front is a balancing mount. Should I look at replacing the rear mount? (PITA) Is there any other parts like stabilizer end links I should look at? (I gripped them and couldn't feel any play when moving them around). Control arms? Any input would be helpful, and thanks in advance! Check to see if you*re low on transmission gear oil. Also, it*s most likely your flywheel having hotspots on it. I went through all this a long time ago and installed new motor mounts with inserts and it still did it from a stand still starting in first gear. It gets worse if the cars been driving for a while. I ended up starting it in second instead to avoid the problem. When I got my engine swapped out last year, my mechanic friend confirmed that my flywheel had hotspots on it. It may not have anything to do with your shudder but it's cheap and easy to do. 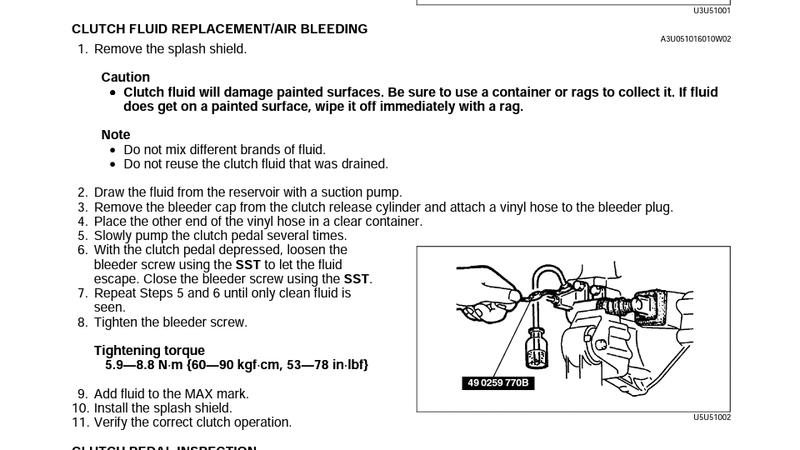 My clutch was feeling "stiff" and "notchy" and bleeding it smoothed it out. I got the front of the car in the air yesterday took off drivers side front wheel and really tried to shake everything that could be moving around in the wheel well around suspension wise. The only thing that really made a noise was the spring. Then it stopped moving/ making noise. I put the wheel back on, and the noise seems to only happen when letting the clutch out when I’m going up a hill. The noise seems to be coming from left and forward of my instrument cluster. I’m thinking strut hat possibly I’ve searched and people have said that tends to be a problem. I hope I don’t have to buy new struts..
For me, the clutch wasn't releasing smoothly and the car would shudder. It was something I would feel though and not really hear. I think I need to do this since I can feel some notching and the pedal is pretty stiff. I just purchased a 2003 P5 with 153k miles on the original clutch. Question though....what's the SST they are referring to? ... Question though....what's the SST they are referring to? It's just the fancy wrench they're using. You don't need it. Any regular wrench works. When I bled my clutch, I was so smooth afterward and the peddle pushed so easily I thought I broke something or it was full of air. It made that much of a difference for me. Have you managed to fix the issue with the shudder in the front driver side. I have the same problem as I did my timing belt and had to take out the passenger side and reinstall when done? I am thinking it's a improper installation of a mount not aligned properly. Please do let me know. I say bleed your clutch and see if it helps. If it doesn't, check your other options. I had the same issues a few months ago. I replaced the spark plugs and coils. I haven't had the thunk/shudder since.